At Bayford Volkswagen Camberwell, we offer your business the most innovative automotive solutions. Our team understands that a good fleet is much more than just getting you and your employees from A to B. It’s a significant investment of your time and money. It impacts your employees’ comfort and safety, your long-term running costs, and projects your business image to the public. These are just some of the reasons why finding the right fleet supplier is essential for any forward-thinking business. We believe it is essential to have an all-inclusive approach to fleet products. The fleet cars we offer feature some of the most advanced technology available on the market and are backed by our impressive vehicle warranty, keeping them on the road longer. Our vehicles are also the product of sustainable thinking, offering eco-friendly driving and brilliant fuel economy. And thanks to their reduced lifelong costs, along with exclusive business discounts, they make great financial sense too. We recognise that when business is good for you, it’s good for us, too. That’s why we offer generous discounts on your fleet purchases to foster a mutually beneficial working relationship. So whether you’re a small to medium business, national operation or government department, your bottom line is looking up. We cater to a range of industries. 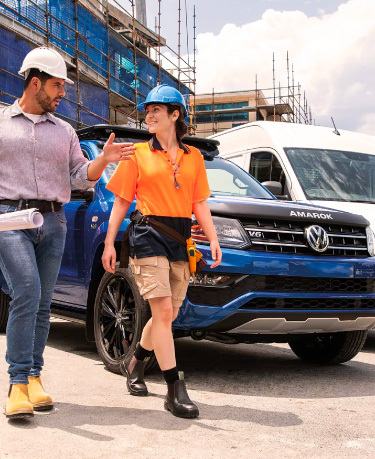 No matter what your workplace’s size, Bayford Volkswagen Camberwell has the perfect fleet solution to get your employees on the road in safety and style. There’s only one way to find out if you can receive a great fleet discount from Bayford Volkswagen Camberwell. Contact us today and we will happily provide you with all the advice you need.